On Monday I had an awesome brunch at Henrietta’s Table in the Charles Hotel in Harvard Square with my college mentor the amazing Theresa Perry. Henrietta’s Table is fantastic! Everyone check it out. Also, it was great to talk with Theresa (or as my family and I call her, Saint Theresa). It reminded me why I went to law school and allowed me to mentally refocus on what is important to me: legal avenues to comprehensive public education reform. 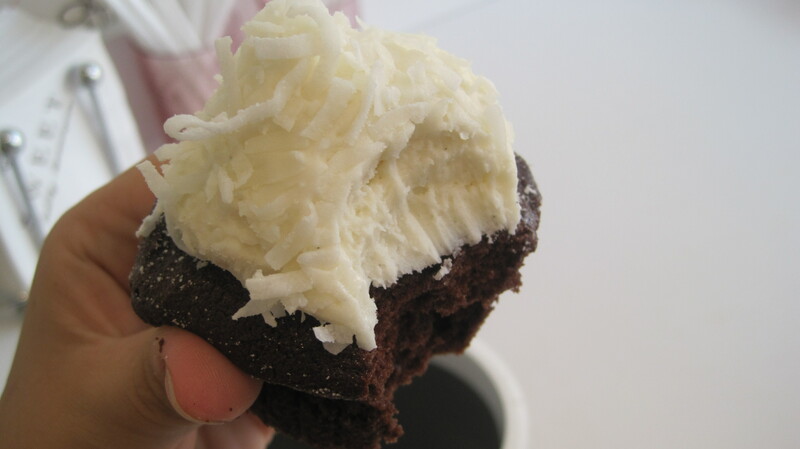 Frequent readers know that Sweet is one of my favorite cup cake places. 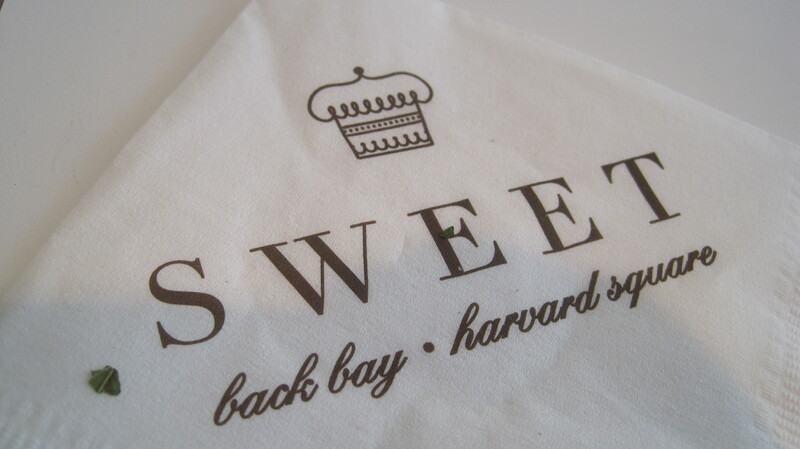 They first opened in Back Bay on Massachusetts Ave. and have now expanded to Harvard Square. 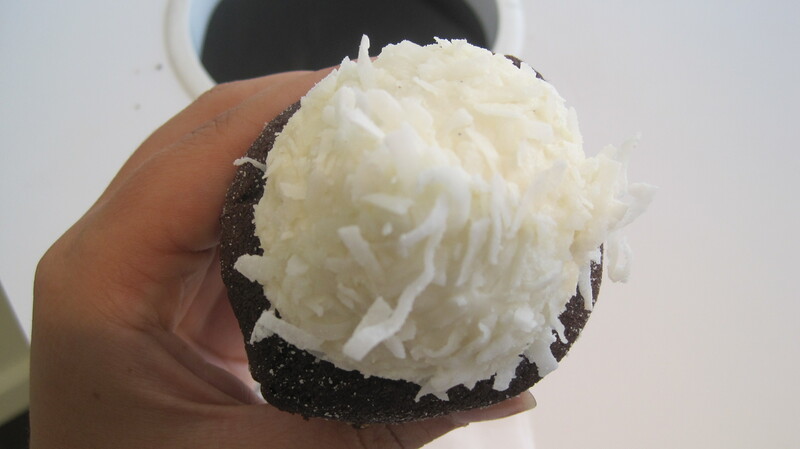 I opted for the old favorite the coconut chocolate cupcake. Oh man do I love Sweet! Light cake deliciousness. The coconut is a temporary thing and I highly recommend it. Sometimes they use too much frosting for some, but this has less frosting and it is so good. Clearly holds its own with cupcake shops of LA. 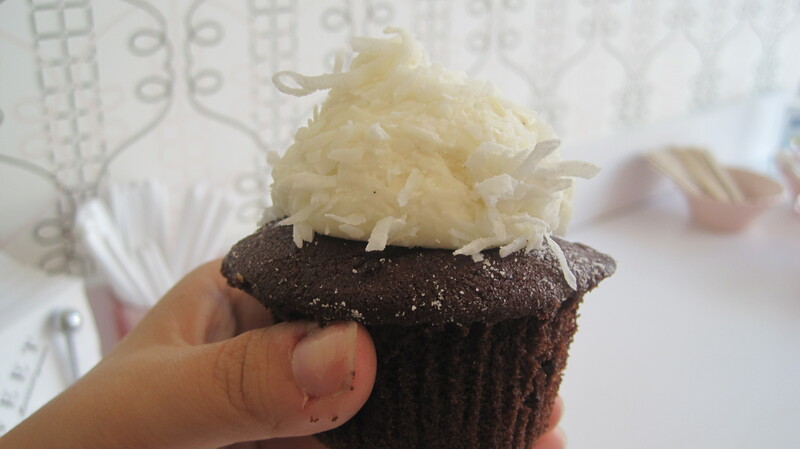 You should try Cupcake Jones in Portland, OR if you get a chance. Their red velvet cake with cream cheese frosting is so good! !